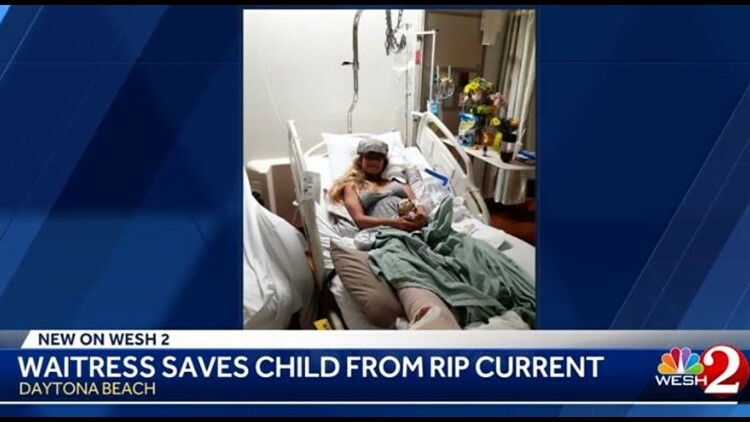 WESH - A 19-year-old waitress is recovering in a hospital after she jumped off a Daytona Beach pier to save a child caught in a rip current. Hanna Pignato broke bones in her back and her foot after jumping off the Main Street Pier when she saw the boy struggling in the water Saturday evening while she was working. Click here to read more from WESH.